Ahead of Friday's debut of HomePod, select publications were given early hands-on time with the device. Their reviews were largely mixed, praising the sound of HomePod but finding that Siri just can't compete —yet. Reviewer Brian X. Cheng rated HomePod alongside Amazon Echo and Google Home in a total of 14 different tasks. Each was rated on a scale of 0 to 4, 0 for tasks that were not possible, 2 for completed with some issues, and 4 for flawless operation. In these rankings, HomePod came in last, with a score of 2.9. Google Home was slightly better with 3.1, and Amazon Echo was the clear winner with a 3.4. Chen found that Siri and Apple Music did not learn his taste in music even after a week's worth of use, recommending artists he was not interested in. It was also unable to properly pronounce some artist names, like Tupac. Outside of music, HomePod was unable to tap into third-party apps like Uber, nor provide recipes, or even access a calendar. Google Home and Amazon Echo, however, handled all of those tasks. Chen did say that HomePod outperformed the competition in smart home functionality, where setup was easier on Apple's HomeKit platform. And the HomePod speaker did outperform Amazon and Google in terms of audio quality. When asked about Siri's shortcomings, Apple told the Times that it focused on basic tasks for launch, and future capabilities would be evaluated over time. Chen's conclusion: "Don't rush to buy it." 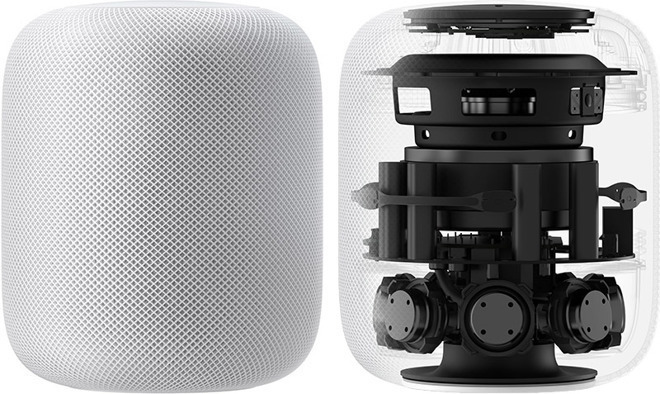 The HomePod is a "lonely" product, in the words of reviewer Nilay Patel. While it offers "amazing" sound quality, the device is locked almost entirely within Apple's ecosystem. Patel came away impressed by the ability of HomePod to dynamically adjust its audio based on surroundings. The complex process takes about 10 seconds of playing music without any assistance needed from the user. "HomePod sounds noticeably richer and fuller than almost every other speaker we've tested," he said. "You get a surprisingly impressive amount of bass out of it, but you can still hear all of the details in the midrange and the bass never overwhelms the music." But when it came to Siri, Patel's praise was limited. He admitted that the microphones are good at listening for "Hey Siri" commands, but that's about where the compliments ended. Among the issues that Patel found with Siri on HomePod, it cannot set two timers at once, it cannot look up a recipe, it cannot make a phone call on its own, it doesn't control content on Apple TV, and it doesn't recognize different user voices. In particular, he found it to be an alarming security issue that anyone could send or read text messages from the primary iPhone if it is connected to the same Wi-Fi network. "I tried the HomePod behind a closed door and it picked up my voice and it happily read my texts aloud, a nightmare for anyone who lives in a dorm," he said. In conclusion, he said that HomePod is ideal for customers who live "entirely inside Apple's walled garden and prioritize sound quality over everything else." Most customers, he said, would be better served by other smart speakers. 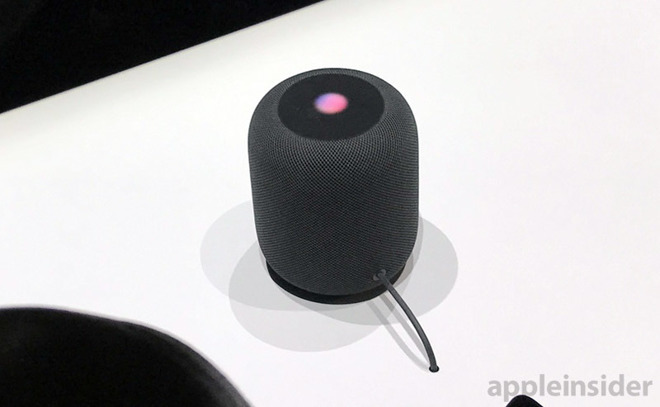 Pitting HomePod against Sonos One, Google Max and Amazon Echo, Jim Dalrymple found "no comparison in sound quality," saying it was "literally laughable" to hear the others in contrast to Apple's device. "It's hard to explain the sound of HomePod, but you get a feeling that the sound is enveloping you, even when using just one speaker," he said. "There is a sense that this is how the songwriter and producer wanted the song to be heard when they recorded it." Dalrymple was also impressed by the HomePod's ability to hear "Hey Siri" commands, even when loud music is playing. In this department, he said he was unable to get the system to fail. Tasks he used outside of music included adding groceries to a Reminder list, reading messages, handing off a phone call, and accessing information like news, traffic, sports and weather. He did call out the lack of access to calendars, however. 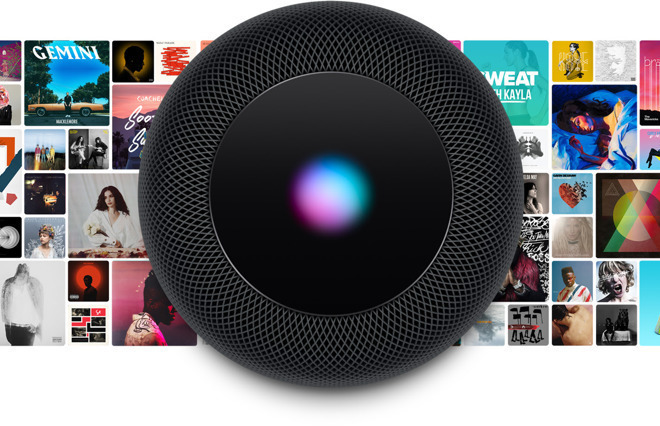 He also shared HomePod with friends through the Home app, giving users authorization to control devices, or even play music via AirPlay from services other than Apple Music. "There may be things that the other devices can do, like shopping from Amazon or adding items to Google Express shopping, but none of those are that important to me," Dalrymple said. "I have access to my Groceries shopping list, I can add notes, take phone calls, send Messages, control my home, and ask Siri tons of questions. On top of all that, I have one of the best sounding speakers on the market." HomePod has a "sensational voice," reviewer Joanna Stern said, but the device still "needs to work on its brain." In one test, Stern placed the HomePod onstage at a 450-seat theater. With volume set to maximum, she could clearly and "beautifully" hear the audio from the last row. In contrast, Google's pricier $400 Home Max speaker was louder, but the audio was distorted at maximum volume. Stern also found that Google's microphones could not pick up voice commands properly when music was playing loudly. As with other reviews, Stern found that HomePod falls short when it relies on Siri for smart speaker functions, like setting a custom alarm, having multiple timers, accessing calendars, or even making a phone call on its own. "It really comes down to what you want your speaker to do," she said. "If you want the smartest smart speaker, this isn't it. 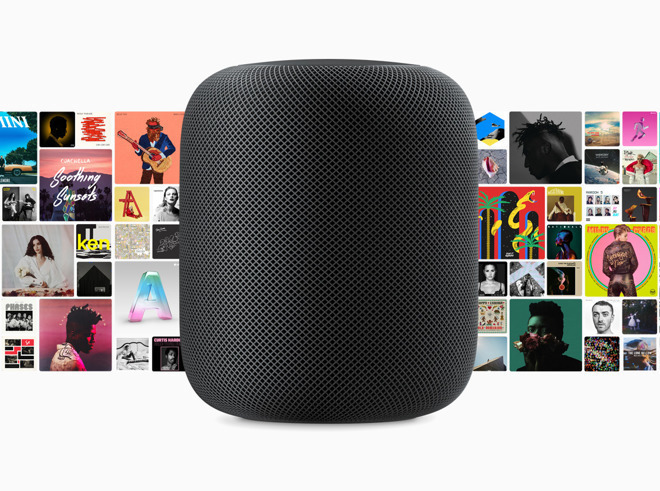 But if you prize music above everything else, the HomePod isn't a dumb choice." 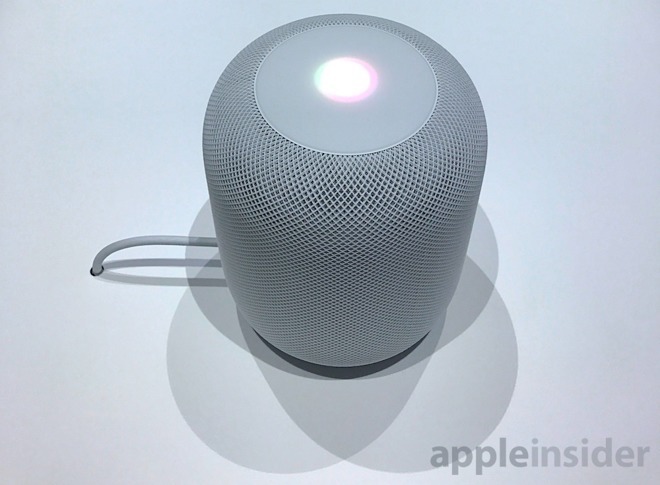 USA Today's Ed Baig praised the simple setup of HomePod, the superior sound quality, and the ability to understand "Hey Siri" in a variety of environments. But the lack of access to third-party apps, the limited capabilities of Siri, and incompatibility with standard Bluetooth devices like Android handsets were all knocks against the product. CNet's Megan Wollerton said iPhone users who value sound quality over all else should consider the HomePod. But those looking for an Amazon Alexa competitor will be left wanting. 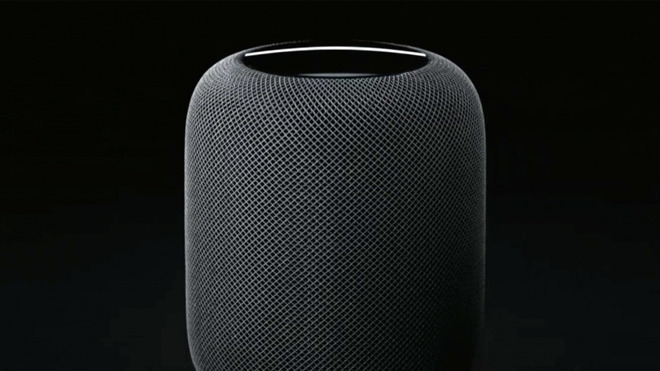 TechCrunch's Matthew Panzarino said HomePod is "easily the best sounding mainstream smart speaker ever." He said it's an easy recommendation for Apple Music users who want superior sound quality, but its "best-in-class voice recognition" is "stymied by the limited command sets that the Siri protocol offers." Buzzfeed's Nicole Nguyen was impressed that Siri knew what she meant when she asked it to play the artist SZA —Alexa played either Sizzla or John Philip Souza instead. But she also dinged Siri for limited understanding of commands: "I don't like this" was not recognized, but "I don't like this song" worked fine.